Casa Linda 2 | NuHome Realty Co. 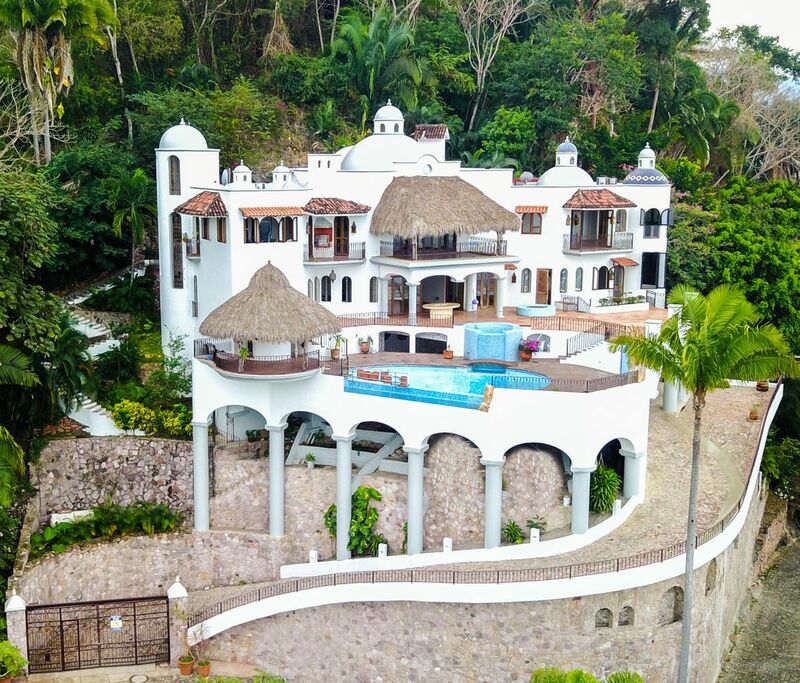 This Elegant Masterpiece was designed by Legendary Architect JOSÉ ”PEPE” MEDRANO GARCÍA DE QUEVEDO to be a haven for owners seeking their privacy while enjoying a 270-degree bird’s eye view of the ocean, city, jungle and mountains. 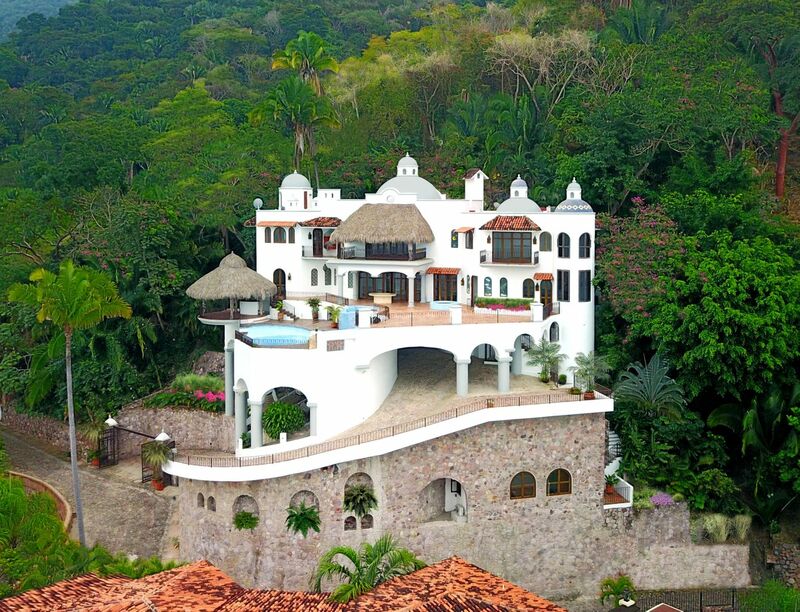 This stunning Mexican Colonial stays true to tradition, while blending its Old World styling with modern conveniences for luxurious living in the tropics. Granite kitchen, marble baths, stained glass windows, towering columns, antique carved hardwood doors in master suite & bar area, hand-tiled mosaics, high ceilings, dramatic cupolas, interior elevator makes 3 levels of this home access friendly. The Home is currently Unfurnished, is Offered & Sold that way. Furnished & Decorated Photography is provided to give an idea of how it appeared fully furnished.